Celebrating our 300th CHIA! - CHIA "
No longer simply the “Excel” go to guy! Since its inception CHIA has reached many milestones; our latest is welcoming 300 CHIAs to the alumni. The CHIA partners and Board congratulate Doug Kynaston as our 300th CHIA. 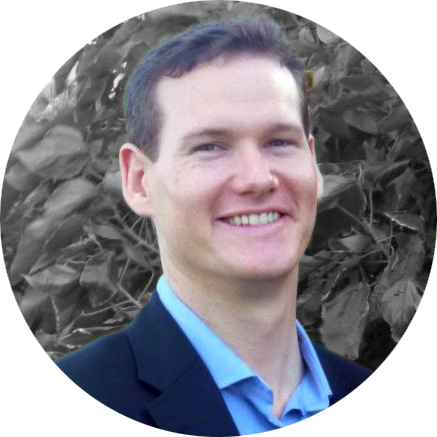 Doug was part of the Queensland Health CHIA Group of candidates and he graduated. “Having the opportunity to become a Certified Health Informatician was an opportunity I couldn’t pass up. It would help validate my knowledge and skill sets within nursing informatics, as well as help communicate that my role should be seen as more than just an excel expert,” said Doug who is the Assistant Director of Nursing, Office of the Chief Nursing and Midwifery Officer, Clinical Excellence Division, Department of Health, Queensland. From being introduced to his first computer in grade 5, Doug became interested in the development of IT. His passion however is “helping and caring for people. Through experiences working in different wards and hospitals and under different managers, I knew things needed to change. A lot of processes and procedures are simply based on “it’s what we’ve always done”, not actually based on any evidence. For a nurse I’ve got a bit of a different perspective on healthcare – it is a business, and our core product is safe, effective, highest quality care; and the way that care needs to be delivered needs to be pulled into the modern environment,” said Doug. When asked where he sees Health informatics in Australia in the next 5 to 10 years, Doug said it would be pivotal to the advancement of healthcare. “There is no option but to embrace digital technology to generate greater technical and allocative efficiencies across the board in healthcare, and health informatics will be the foundation of change. Nursing makes up around half of the entire healthcare workforce in Queensland, and globally, around 95% of care is actually delivered by nurses, hence the role of nursing and nursing informatics is hugely important for the future of healthcare delivery,” he said. Want to join the CHIA alumni and help us reach 400 CHIAs? Apply today! 1. Tell me about your role today and maybe tell me about a typical “day” at work. Nurse by trade, I’m working in a new and evolving nurse led service for complex chronic care patients. My primary role is to develop a fit for purpose patient management system that will also pull together all the necessary background data necessary to evaluate the success of the service. Another project I’m working on is the automation of a Nursing Performance Scorecard that will allow greater analysis of nursing services and increase functionality for end users. Then there is the time spent supporting other services within my division who operate out of a multitude of different Excel files; I spend a lot of time looking for better ways to manage and report on their services. 2. How did you get interested in IT/health informatics/digital health? I’ve been interested in the development of IT ever since I was back in grade 5 when introduced the first computer into our school, however my passion is in helping and caring for people. Through experiences working in different wards and hospitals and under different managers, I knew things needed to change; a lot of processes and procedures are simply based on “it’s what we’ve always done”, not actually based on any evidence. For a nurse I’ve got a bit of a different perspective on healthcare – it is a business, and our core product is safe, effective, highest quality care; and the way that care needs to be delivered needs to be pulled into the modern environment. It is just absurd that in 2017 in an industry that spends billions of dollars on technological advances, yet a significant portion of clinical staff are managing their clinics and patients’ care out of paper diaries and charts. Nursing makes up around half of the entire healthcare workforce in Queensland, and globally, around 95% of care is actually delivered by nurses, hence the role of nursing and nursing informatics is hugely important for the future of healthcare delivery. 3. You are part of the Queensland Health Cohort, why did you initially express interest in taking the exam? 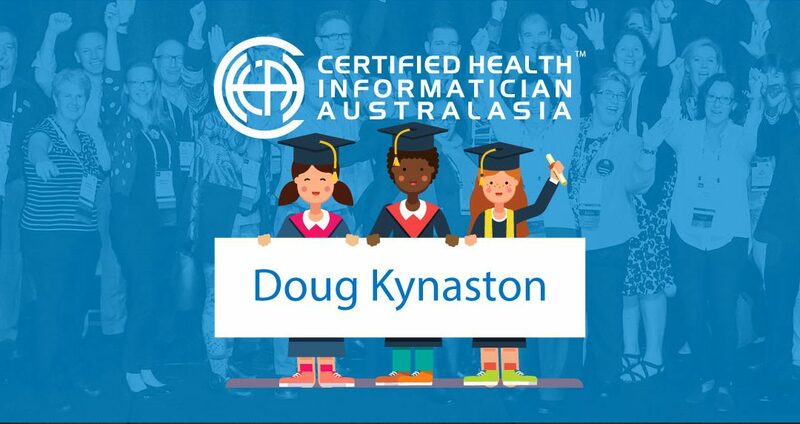 Having the opportunity to become a certified Health Informatician was an opportunity I couldn’t pass up; it would help validate my knowledge and skill sets within nursing informatics, as well as help communicate that my role should be seen as more than just an excel expert. 4. How has becoming a CHIA benefited you in your day job? Since gaining certification, I believe I’m taken more seriously and have credibility and recognition in knowing I’m talking about; I am more confidently able to actively engage in digital health innovations or projects and provide advice and direction. I have been able to move away from simply being the Excel go to guy. 5. Where do you see Health Informatics in Australia in 5 years’ time? 10 years? Health Informatics will be pivotal to the advancement of healthcare over the next 5 to 10 years. It is not possible to continue to simply employ more staff, build more hospitals with more beds; it is well established there is a looming workforce shortage and financial imperative to change how healthcare is managed and delivered. There is no option but to embrace digital technology to generate greater technical and allocative efficiencies across the board in healthcare, and health informatics will be the foundation of change.